There is still another two or three months of winter left in North America and I'm sure many of us would love to run away to someplace warm or, failing that, hibernate. Carolyn Sherwin Bailey's background as a teacher, principal, and life-long writer resulted in her dependably telling stories in a way that works with an audience. 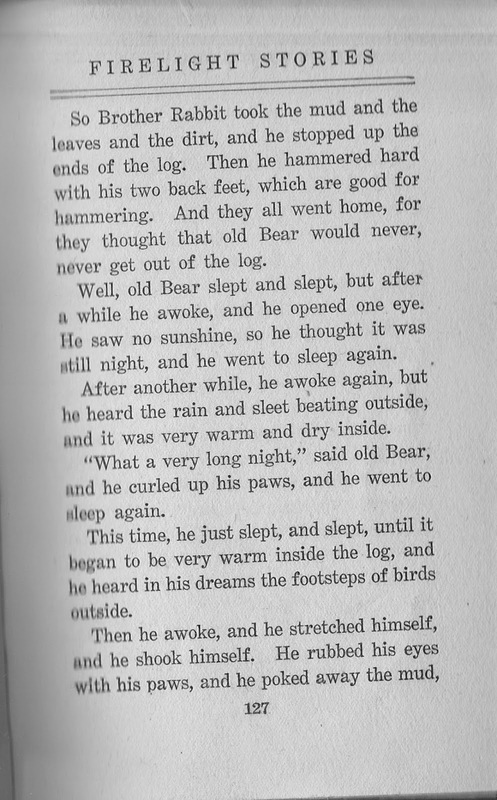 Her version of "Why the Bear Sleeps All Winter" in Firelight Stories published in 1907 is no exception. (By the way, the publisher was Milton Bradley who now is known for board games.) 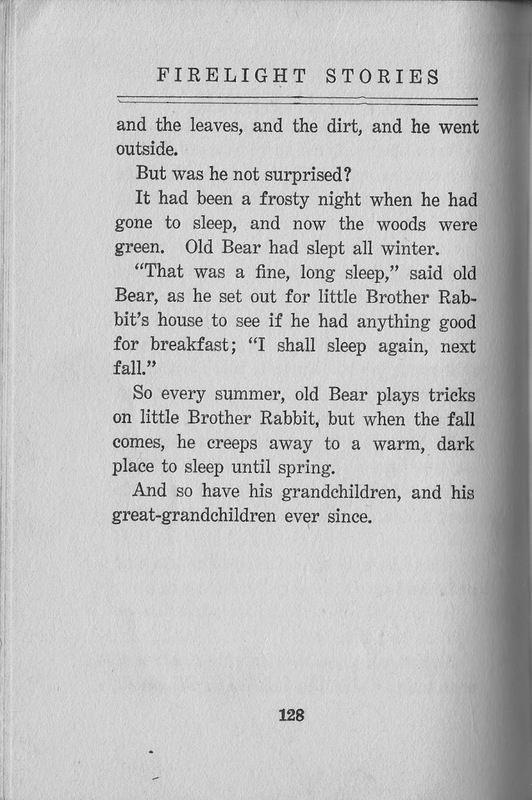 By that time she had already published four books including the first of her For the Children's Hour books. 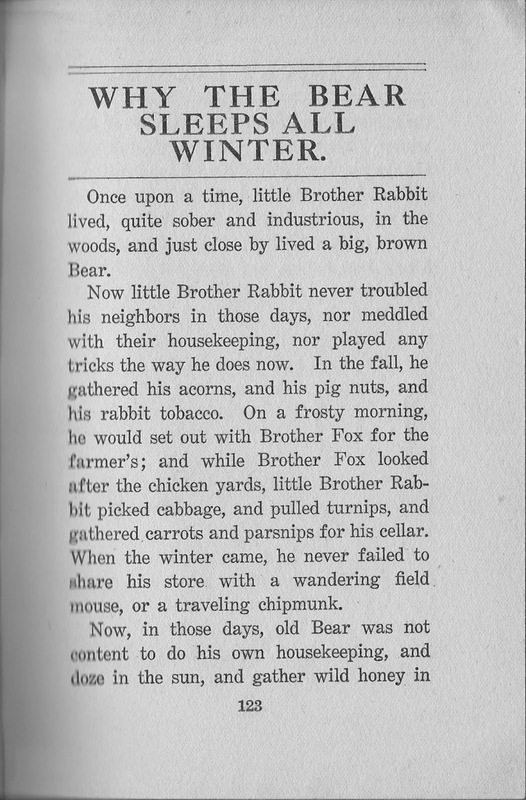 While older anthologies don't document sources the way most do today, in her Introduction she groups the story with some other tales "The southern negroes have given us the stories...still told in Georgia and the Carolinas." At the same time she omits the difficult dialect that almost becomes a foreign language so commonly used then in such tales. 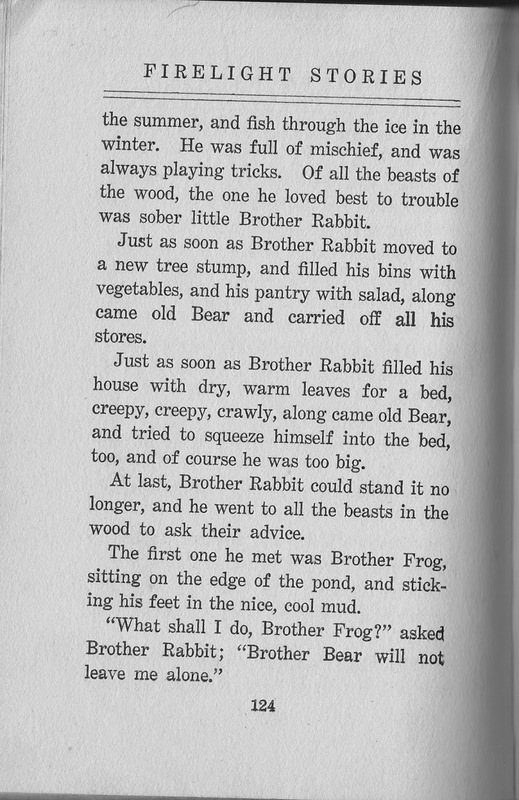 The hero of the story is "little Brother Rabbit" oppressed by an "old Bear." 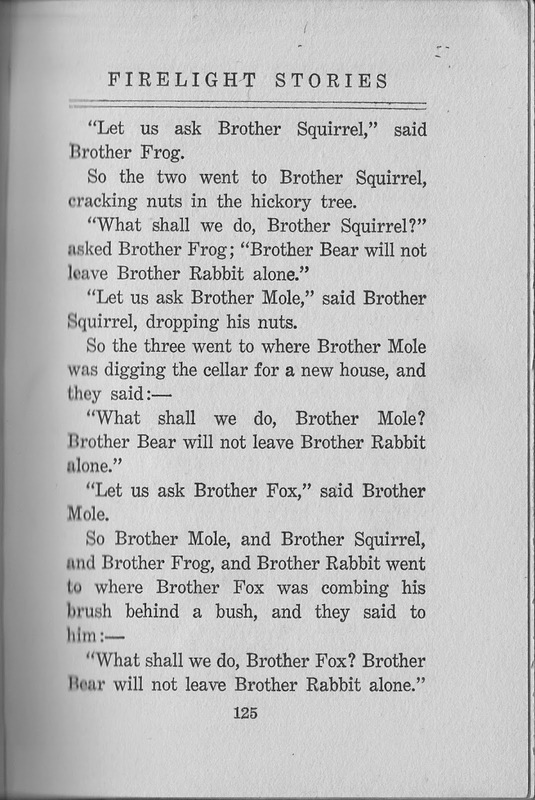 All the other animals are called Brother. 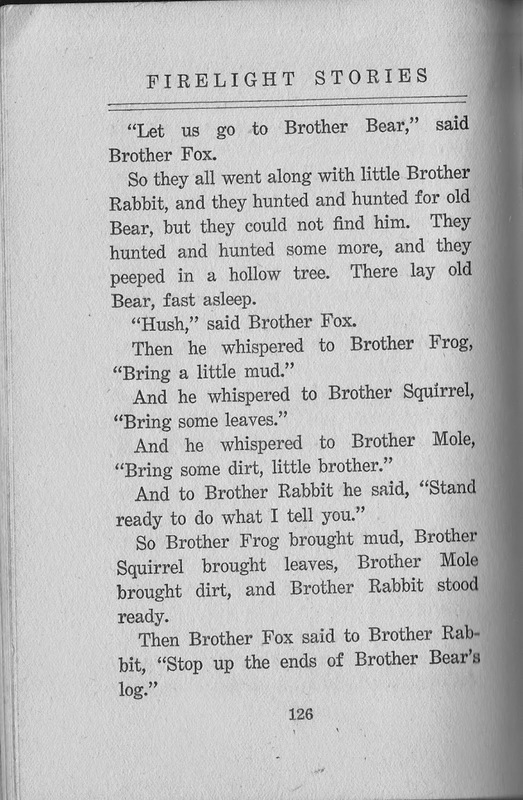 The name Br'er is a contraction of Brother and tales of Br'er Rabbit by Joel Chandler Harris don't include this story. It would be fun to assign the animal parts to audience members to mime while the story is told. and even seven audio stories at Librivox.